Happy August! Summer in the Northland is sweet. We have spotted a few changing leaves and temperatures are cooler this week. There is time enough to enjoy the summer and the crisp autumn days ahead on an outdoor deck. We are delighted to share some great deck ideas with you using a favorite Meteek combination: Dragonwood and Cutek Extreme. Dragonwood is thermally modified wood. Sustainably harvested wood is cooked at extremely high temperatures to become permanently water-insoluble. With most moisture, sugars and resins cooked out, the modified wood is less vulnerable to decay and also resists warping. The end result is a straight, true, high-quality wood. And the enhanced wood grain is gorgeous! 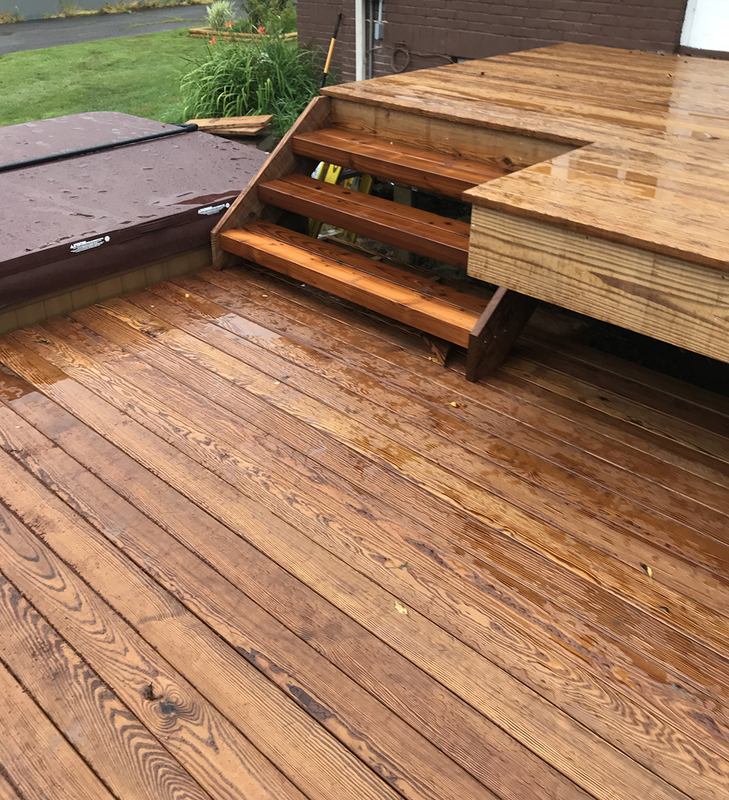 We recently completed a deck project in a Duluth neighborhood. First, we used Dragonwood for this beautiful two level deck with hot tub. We prefinished the material with Cutek Extreme which imparts excellent dimensional stability to the wood. But what holds it all up? 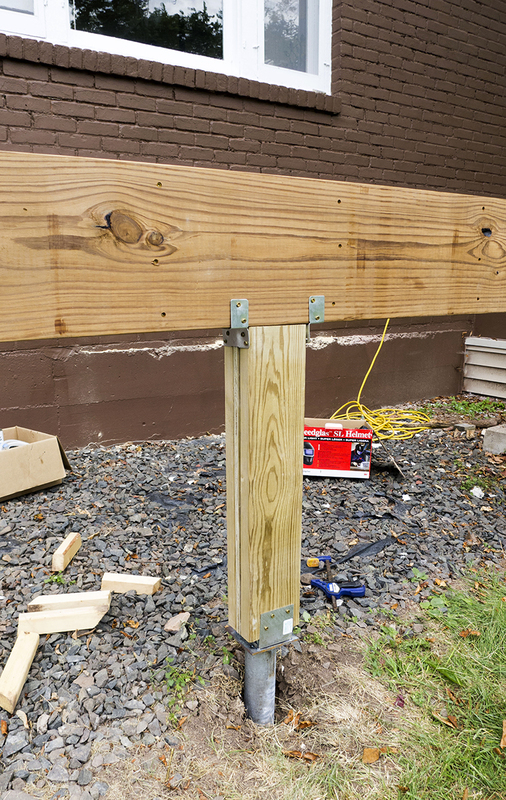 Helical piers are foundation solution used to secure new or repair existing foundations. 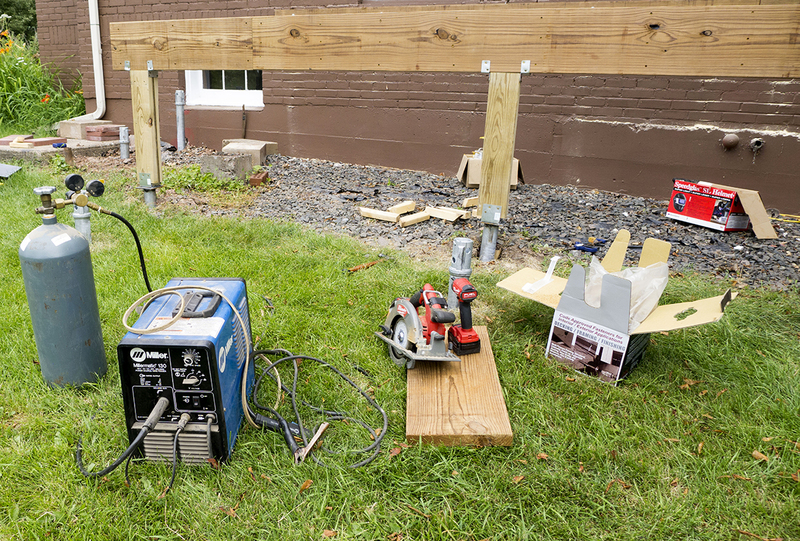 They offer a simplified alternative to a poured concrete foundation, while minimally impacting the construction site. Basically they are like a giant screw. 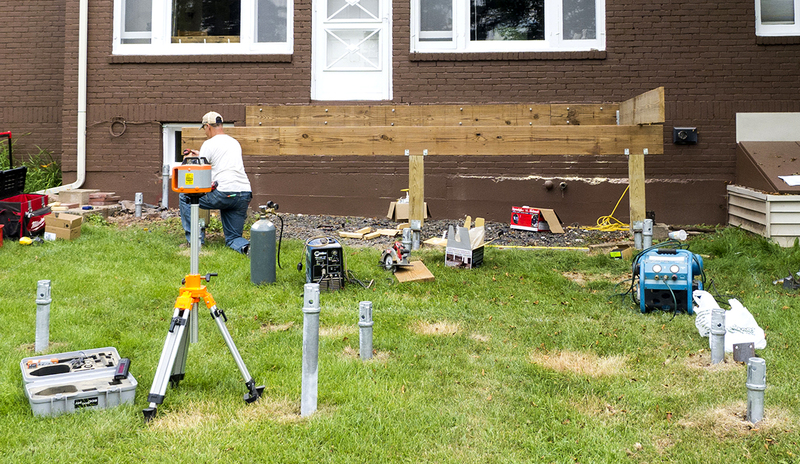 And they are easy to install without tearing up your yard or lawn. Check out the animated video below to see how it works. Check out the helical piers in the foreground. Andy levels the stringers. Andy welds these nifty ties onto the exposed helical pier pipes. Here is a closer look at the welded attachment. 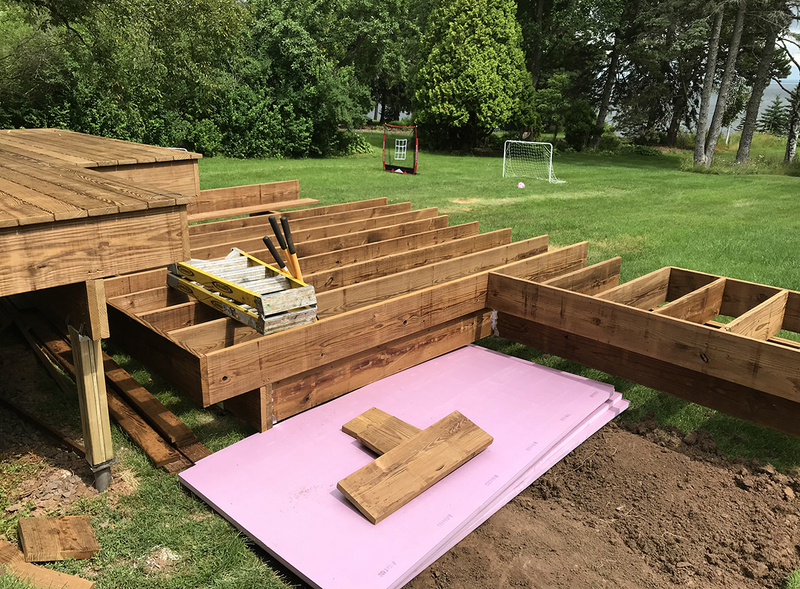 The two level deck begins to take shape. Look at the gorgeous enhanced grain of the Dragonwood and water is beading nicely thanks to Cutek Extreme!